Back in 2009, Stephanie Wei launched a golf blog. New golf blogs pop up all the time; few of them gain any traction with readers, or have staying power. But Wei Under Par remains, and remains one of the most influential independent golf publications on the web. It's at testament to Stephanie's talent, gumption and persistence that she managed to turn her passion into a job. Wei grew up playing junior golf in the Pacific Northwest, where her friends and fellow-competitors included the Mackenzies (Paige and Brock) and Ryan Moore. She shared her swing coach - Joe Thiel - with Andres Gonzales and Michael Putnam, both of whom are now PGA Tour players. 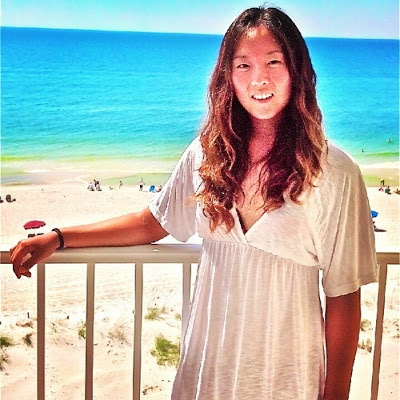 Then she played on the Yale University golf team, where, during her time in New Haven, her teammates included Jeehae Lee. Stephanie's time at Yale produced a degree in history. Her time since Yale has produced a writing career focused primarily (but not solely) on golf. She has written for numerous web publications, including Guest of a Guest and The Huffington Post. And on the foundation of Wei Under Par, Stephanie has built a successful career as a golf journalist. She is a contributor to Golf.com, SI golf+, a freelancer - she traveled to more than 30 golf tournaments in 2012 - who has written for, among others, the Wall Street Journal. And she makes radio and television appearances. It won't be a surprise to hear someday that one of the networks that broadcasts golf - or one of the golf networks - has scooped her up. When you're as talented, smart, insightful - and beautiful - as Stephanie is, a larger role on TV is probably in your future. Here's another new Ladies European Tour member for 2013: Virginia Espejo. 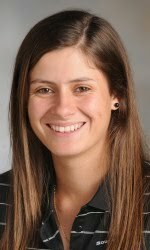 The Spanish golfer finished tied for 20th at the final stage of LET Q-School, earning playing status for next year's schedule. Virginia played her college golf at Southern Mississippi University. There, during her junior season, she achieved something that no other female Southern Miss golfer had done to that point: She carded a round in the 60s during tournament play. In 2012, Virginia played five tournaments on the LET Access Series. She started her pro career off slow, missing the cut in the first three. But then she finished 38th at the Azores Ladies Open, and then 25th at the Banesto Tour Valencia. And now she's made it through Q-School; clearly a golfer on an upward trajectory. Elina Nummenpaa will be playing on the Ladies European Tour in 2013 after making it through the final-stage of LET Q-School. Nummenpaa was won of the Top 30 finishers at Q-School, earning her card for next season. Nummenpaa is a 29-year-old from Turku, Finland. She honed her skills at Nokia River Golf Club (where she even served as caddie master for four years), and as an exchange student in California during high school. In 2012, Elina split her time between the Nordea Tour and the LET Access Series. On the LETAS, it was feast or famine for Nummenpaa in 2012: She had six missed cuts, but in those tournaments in which she survived the cut, Elina finished in the Top 10 every time. Her best showing was a tie for fourth at the Crete Ladies Open. Sharmila Nicollet is one the 30 golfers who "graduated" from 2012 LET Q-School, earning her card for the 2013 season on the Ladies European Tour. Nicollet finished tied for 17th at the final stage qualifier, at 9-under 351. Nicollet turned pro in 2009 and led the regional Indian circuit in money in 2009 and 2010. She also played on the Ladies Asian Golf Tour and got into a few LET tournaments during that time and into 2011. She made it through Q-School at the end of 2011 to earn rookie status on the LET during the 2012 season. Her best finish was 36th in 2012, so it was back to Q-School. But Sharmilla is through again. Can you guess that Camilla Lennarth is from Sweden? I bet you can! Camilla just completed the final stage of the Ladies European Tour Q-School, and has earned her playing card for the 2013 LET. Lennarth finished the 5-round tournament at 15-under par, good for sixth place. 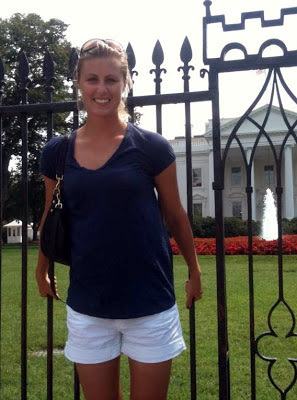 Lennarth played college golf at the University of Alabama, where she was a 3-time All-America selection. In 2010, she was the individual medalist and part of the winning Swedish team at the European Ladies Team Championship. She turned pro in 2011 and won a Cactus Tour event that year. In 2012, Camilla was a member of the LPGA Futures Tour, where she posted a best finish of 5th place in the Symetra Classic. Maha Haddioui was the winner of one of the two Ladies European Tour qualifying tournament (Q-School) pre-qualifiers, which gets her into the Q-School finals. She's from Morocco. 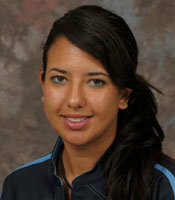 She turned pro in 2010, and in 2011 finished 25th at the Lalla Meryem Cup played in Morocco. In fact, it was played at her home course, Golf du Soleil in Agadir. And in playing that event, Maha achieved a first: She became the first Arab woman to play as a professional golfer in an event on one of the major world tours. Maha also made the cut at the 2011 Ladies German Open on the LET but, alas, failed to get through Q-School for the 2012 season. So she's back, winning the pre-qualifier, and setting her sights on 2013 membership. Before turning pro Haddioui played collegiately at Lynn University in Florida. There she was a Division II All-America selection four straight years, the conference Women's Golfer of the Year, and a four-time scholastic All-American. Quite a few LPGA golfers are in Thailand for the Swinging Skirts LPGA Invitational, a charity pro-am tournament. Which was proceeded by a gala dinner/party. And you know what that means: Players posting pics on Twitter. Good to see Morgan Pressel is there, getting back in the swing as a season in which she had some injury issues. Sandra wrote that she was "surrounded by blondes." Hey, that's not a bad place to be! From left, they are Ladies European Tour members Carly Booth, Danielle Montgomery, Henni Zuel, Caroline Martens and Stacy Lee Bregman. They stopped to pose during a pre-tournament party for the Dubai Ladies Masters. Congratulations to Rebecca Lee-Bentham, co-medalist (with Moriya Jutanugarn) at the 2012 LPGA Q-School. So we'll be seeing Rebecca on the LPGA Tour in 2013. But she won't be a rookie. 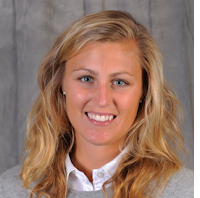 Lee-Bentham was an LPGA member in 2012, getting into 14 tournaments with a best finish of 47th. She earned her tour card last year on her first attempt at Q-School. Rebecca is from Canada (Richmond Hill, Ontario, to be exact). She won the 2010 Canadian Junior Girls Championship and 2011 Canadian Women's Amateur Championship. 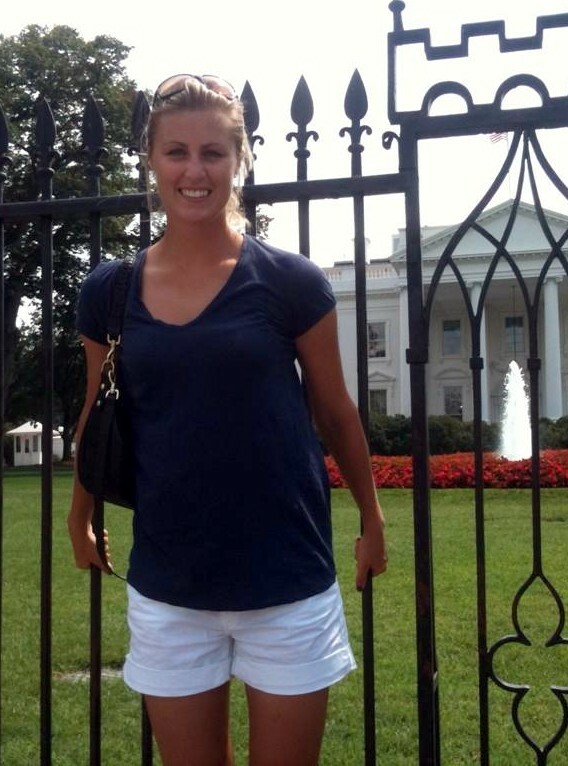 She spent one year on the University of Texas golf team, then turned pro late in 2011. You can follow her on Twitter at @RLeeBentham.